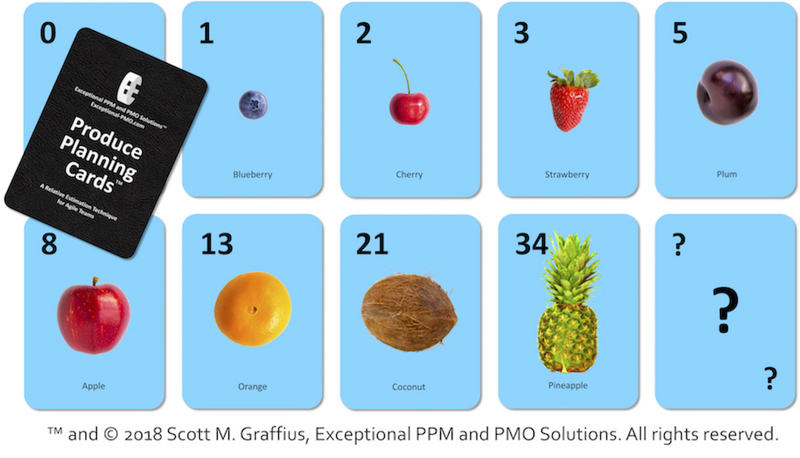 Planning cards help agile teams estimate work. Decks of the cards were originally distributed as a promotional item. Reactions were incredibly positive, and several people asked how they could get their own set. Based on demand, Produce Planning Cards™ are now available for purchase. For more information, you’re invited to watch the Video, see What’s Included, and read the Product Information. Produce Planning Cards™—with the accompanying information and instructions—help agile teams estimate work. Graffius, S. M. (2016). Agile Scrum: Your Quick Start Guide with Step-by-Step Instructions. North Charleston, SC: CreateSpace. Chris Hare and Colin Giffen. If you have a question about the Produce Planning Cards™, email us. 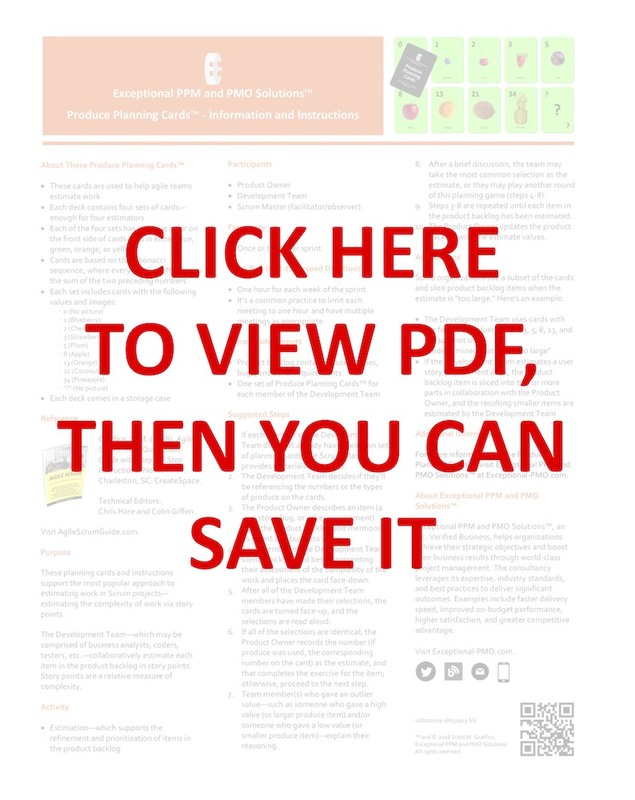 To learn more about Exceptional PPM and PMO Solutions™, you’re invited to visit the website, read the blog, and connect on social. Links follow. 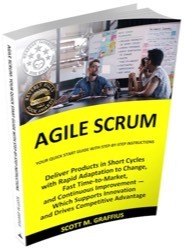 To learn more about Agile Scrum: Your Quick Start Guide with Step-by-Step Instructions, you’re invited to visit the website, read the blog, watch the trailer and other videos, connect on social, or pick up a copy of the book—it’s available in paperback and ebook. Links follow.